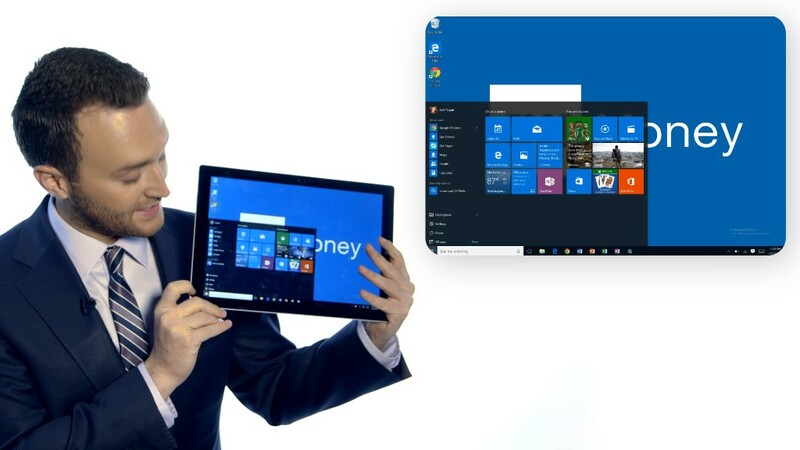 In turn, you can use Wi-Fi Sense to automatically connect your Windows 10 PC to your friends' Wi-Fi networks without knowing their passwords. Sounds safer than telling them your password, which you probably use for your bank and email accounts, right? Microsoft enables Wi-Fi Sense by default on Windows 10, but it doesn't share your networks by default. You have to actively choose to share your Wi-Fi network by clicking a box that says "Share network with my contacts" when logging in. When you share your network, all of your Facebook (FB) friends as well as your Skype and Outlook.com contacts will be able to automatically log onto your Wi-Fi network when their Windows 10 PCs are in range. With Wi-Fi Sense, they don't need to enter a password to log on (if they have a Mac, iPhone or Android device, you'll still have to give up your password). And when your friends connect via Wi-Fi Sense, they won't then, in turn, be able to share your network with their friends. Wi-Fi Sense stores your Wi-Fi network password on a Microsoft server. It's encrypted, so if a hacker were to break in, your password would appear as garbled text. And Windows 10 does not allow you to share access to corporate Wi-Fi networks that use special security protocols. But what about that Outlook.com contact turned stalker? Do you want that person to have access to your network? Wi-Fi Sense doesn't allow you to share your network with an individual -- it's either all your contacts or none of them. When people gain access to your network, all kinds of bad things can happen: They can potentially hack into other devices connected to that network, including your computer and smartphone. They can potentially steal data off your devices, including photos, emails and other personal information. Microsoft claims that if you share your home Wi-Fi network via Wi-Fi Sense, your contacts won't have access to other computers, devices or files stored on your network. That's accomplished by turning off a feature called "network discovery," preventing your friends' computers from seeing the other computers and gadget connected signed into your Wi-Fi network. That makes it more difficult -- not impossible -- for your hacker friend to steal your stuff. A Microsoft spokesman couldn't immediately be reached for comment. You're probably safe using Wi-Fi Sense. All these nightmare scenarios are possible ... but farfetched. Even the worst-case scenario -- a stalker using Wi-Fi Sense to steal your naked photos -- would require that person to sit outside your house with a Windows 10 PC while he hacks into your network. But if you do want to protect those naked photos and you shared your network via Wi-Fi Sense you can stop that. Windows 10 lets you do that in settings (it takes a few days to register). You can also opt your network out of Wi-Fi Sense entirely by adding the phrase "_optout" to the end of your Wi-Fi network's name.